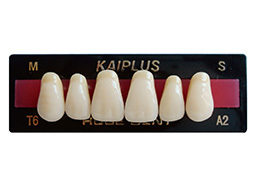 KAIPLUS Synthetic Polymer Teeth is one of the High Standard tooth lines of HUGE. It was created with extremely hard composite teeth material with Nanofiller to satisfy a critical need for premium denture teeth thatcombined exceptional aesthetics with popular shades and familiar molds. It is the fastest-growing aesthetic denture tooth in Asia especiallyin Japan and Korea. 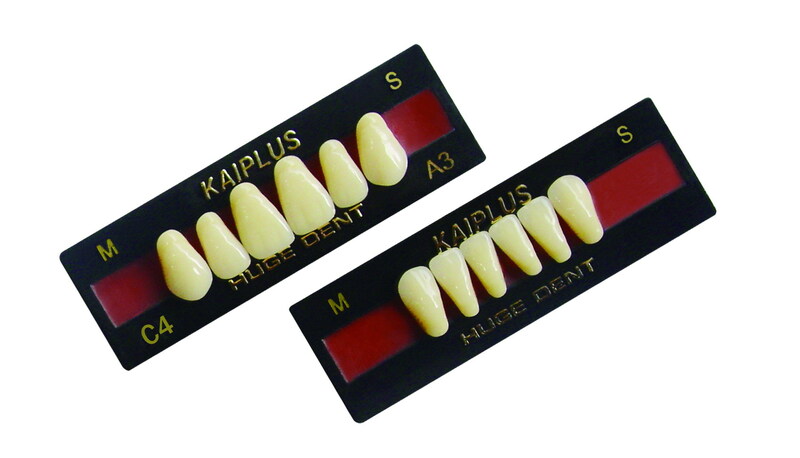 * Shades similar to popular composite teeth which have been known by all technicians and dentists, and shades can replace each other and be used together.